Spring time is a time for wearing pastel colors, and this is true both for outfits and makeup, as well as for nail designs. We have already shown you several pastel polyvore outfit combinations and some pastel makeup tutorials to inspire you wear these shades during spring time. 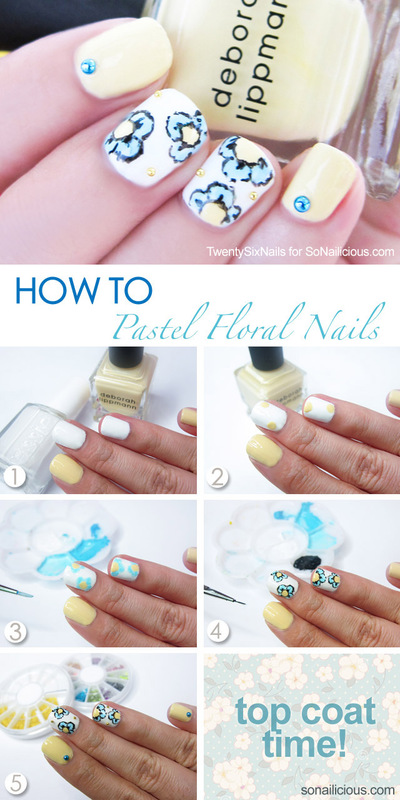 And today, we want to get you inspired to add pastel colors to your nails too so we are bringing to you several Wonderful Pastel Nail Tutorials. 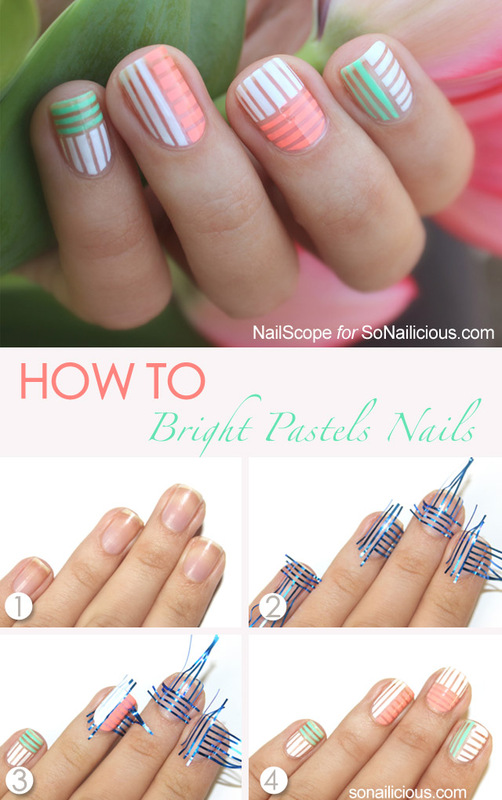 We have chosen these nail tutorials to be in the form of simple step-by-step pictorials so to show you how you can do a perfect nail design by following some simple steps. 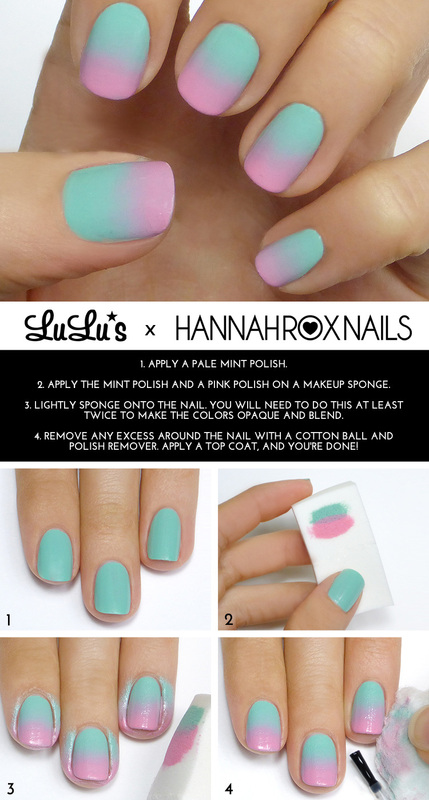 Choose whether you will go for a one colored nail design, or you will make it a more interesting one by combining two or more pastel shades. Pastel shades match with each other, or you won’t find it difficult when combining them. The most common combos are peach and baby blue, mint and pink, yellow and blue, but even if you go for another combo you won’t be wrong, but instead you can achieve the color blocking effect. Besides the colors, you can also choose between so many different patterns. 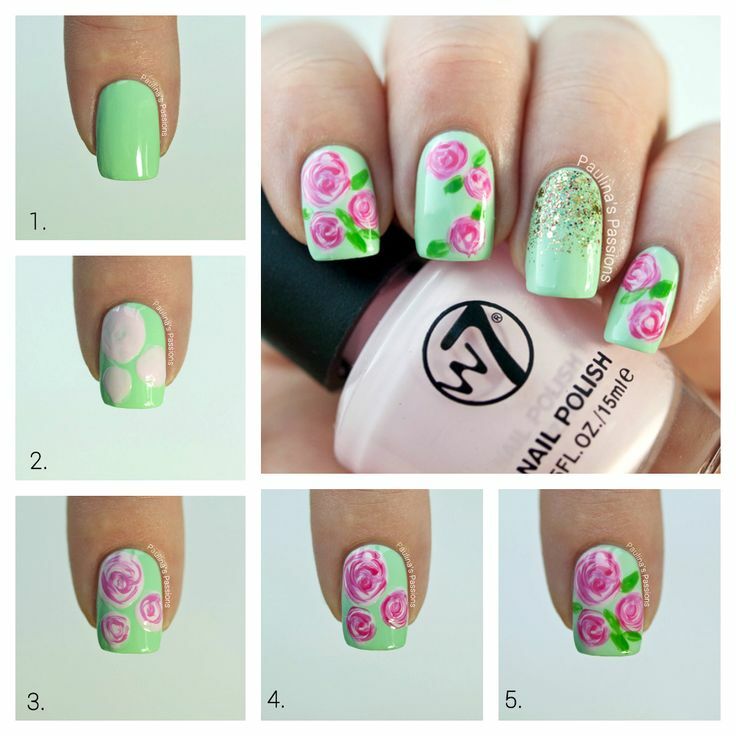 The trendiest for this spring are stripes and flowers, so feel free to add them to your nails. 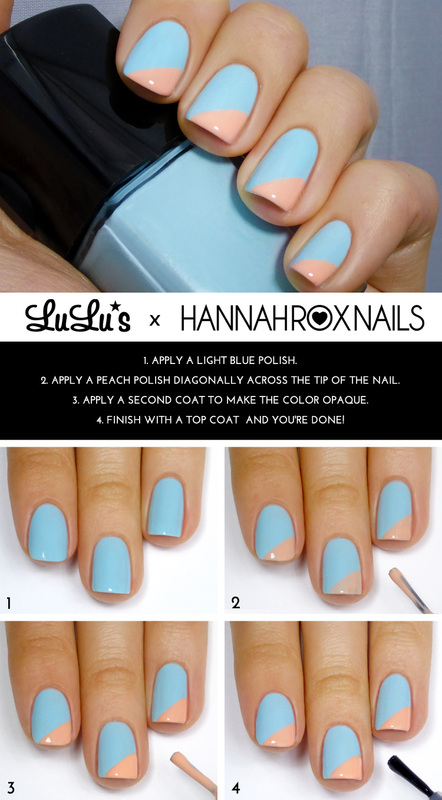 Scroll down to see the pastel nail tutorials that we have chosen for you today and choose which one you will copy first. Enjoy! So, which one is your favorite pastel shade? Is it pink, mint, violet, yellow or maybe baby blue? Choose which ones will match with your outfit combo, or go for some contrasting color blocking nail design to make it look more eye-catching. 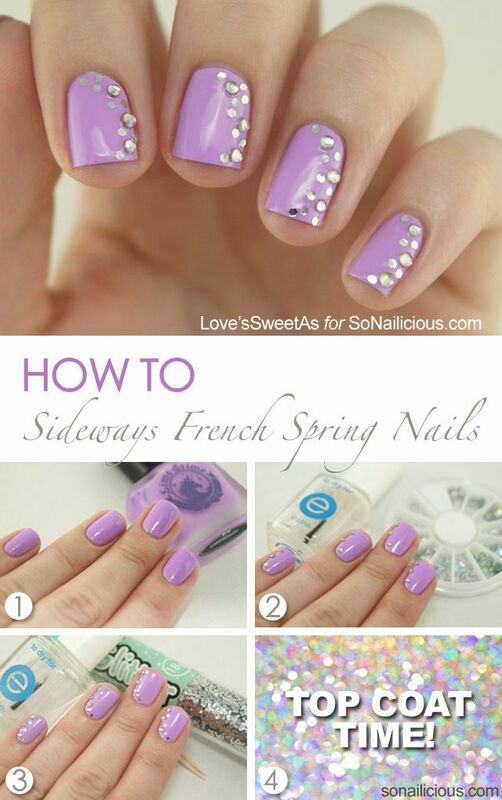 The above nail tutorials are definitely worth coping and the best thing about them is that you can do them by yourself. The spring has just begun, so you have time to try all of them. Thank you for reading and don’t forget to stay up to date with the content of Women Fashion Tips to find other inspiring step-by-step nail, makeup and hair tutorials.